The Kuaizhou 1A booster launched at 0411 GMT Monday (11:11 p.m. EST Sunday) from the Jiuquan space center in northwest China’s Gobi Desert, according to China’s state-run Xinhua news agency. 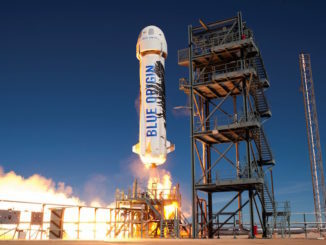 Developed as a low-cost, quick-response launch option, the Kuaizhou rocket flew on orbital missions two times before Monday’s launch, both times with secretive Chinese government payloads. The Kuaizhou 1A version debuted with the latest launch features upgrades to support the launch of multiple spacecraft on the same rocket, with the ability to deploy the satellites once in orbit. Chinese media released images of the launch Monday, breaking from the veil of secrecy surrounding the previous Kuaizhou missions in 2013 and 2014. Kuaizhou means “speedy vessel” in Chinese, and the rocket is possibly based on Chinese ballistic missile technology, using a road-mobile carrier for transport to the launch site. 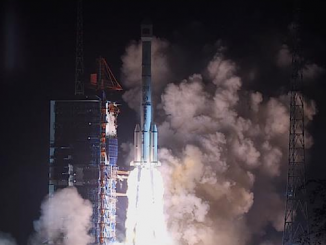 Xinhua reported the Kuaizhou 1A rocket carried three satellites Monday, including an Earth-imaging craft named JL-1 designed to gather high-definition video for land resource and forestry surveying, environmental protection, transport and disaster prevention and relief applications. The JL-1 satellite, also known as Lingqiao 3, is part of the Jilin constellation of commercial Earth observatories in orbit, joining an initial set of spacecraft launched on a Long March 2D rocket in October 2015. 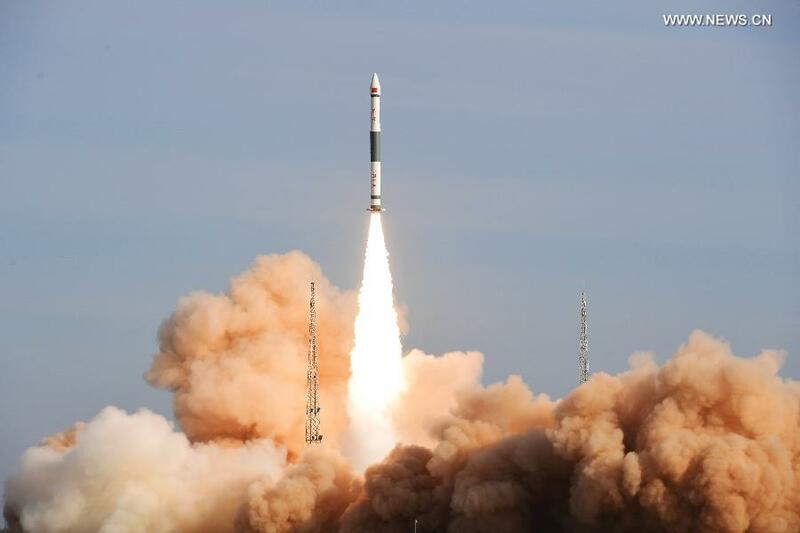 The Jilin satellites are built and operated by the state-owned Chang Guang Satellite Technology Co. Ltd.
Two experimental CubeSats named XS-Y1 and Caton-1 were also aboard the Kuaizhou 1A rocket on Monday’s flight, according to Xinhua. “The XY-S1 and Caton-1 are experimental satellites to test technologies of low-orbit narrow-band communication and VHF Data Exchange System (VDES), respectively,” Xinhua reported. U.S. military tracking data indicate Kuaizhou 1A rocket reached a near-circular polar orbit ranging between 328 miles (528 kilometers) and 337 miles (543 kilometers) in altitude, with an inclination of 97.5 degrees. Starting with Monday’s mission, commercial Kuaizhou launches are conducted under the auspices of Expace, a subsidiary of China Aerospace Science and Industry Corp., or CASIC, established in February 2016. Expace announced its first commercial launch contract last year, a $14.5 million deal to put three spacecraft in orbit for Chang Guang Satellite Technology. Zhang said Expace charges around $10,000 for each kilogram of payload on Kuaizhou launches. 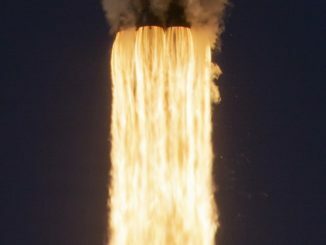 In the China Daily report, he added that Expace is in talks with satellite manufacturers in Asia, Europe and Latin America, and has bid for contracts to launch their spacecraft. Guo Yong, president of the CASIC Fourth Academy, told China Daily that the organization intends to capture 20 percent of the global small satellite launch market by 2020. The Kuaizhou 1A rocket can deliver satellites of up to 300 kilograms — about 660 pounds — into low-altitude orbits, according to China Daily. Expace is China’s second commercial launch services provider after China Great Wall Industry Corp., which sells Long March rocket missions, with an emphasis on launches of large communications satellites heading for geostationary orbit.